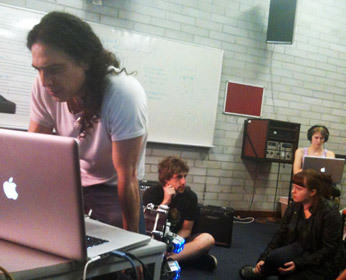 At the beginning of 2010, WAAPA, in conjunction with Tura New Music, a music organisation based in Perth, began an archiving project of local new music. The aim of this project is to discover, collect, collate and digitize WA contemporary art music from 1970 to the current day, making material available for further musicological research and performance. 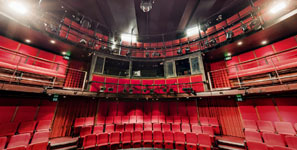 The initial stages of the project have involved the preliminary research into availability of materials, the methodologies of archiving new music and sound art, the function of metadata, key terms, ways of accessing material once placed on an electronic database and ways of linking with similar projects Australia wide. The project has also been investigating new models of copyright in addition to the evaluation of digitization formats and database software. Together with research assistant Sonja Van Theil and the ECU library, the initial stage of the project was completed at the end of 2010, and is now the focus of an ARC Linkage application in partnership with the State Library of WA, The National Library, ABC Classic FM and Tura New Music. This is a current project.